Disney can be expensive, but if you know where to look for more free things at Disney World you can save some time AND money! I believe Disney + Free should go together. We spend lots of money each time we want to hang out with Mickey Mouse, and while it’s always a fun and memorable vacation it’s nice to get little perks and freebies every now and again. But if you don’t go often, how are you supposed to know what you can get for free and what you have to pay for? Easy! 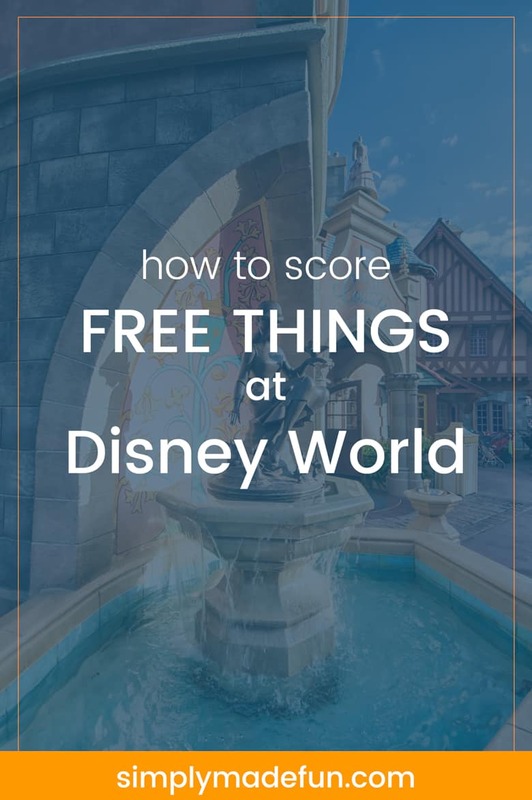 I’ve done all the research for you and compiled a quick list on how to score free things at Disney World! After my 15 free things you can do at Disney post I realized that y’all love learning about all the free stuff you can do while on a Disney vacation. Because, let’s be honest, who doesn’t love free things? And if we’re being completely honest, there’s always that nagging feeling in the back of your mind each time you whip out that magic band to pay for something. I mean, I know that happens to me. I always wonder, “do I need this?” or “is this necessary?”. Making exceptions for food, those thoughts run through my mind 99% of the time. And I hate it. I don’t want to feel guilty every time I want to spend a little money on souvenirs! That’s why I’ve put together a list of 12 guilt-free items that you can get for FREE from Disney World! Want to find out how to save some money and get free stuff? Check out the list below! 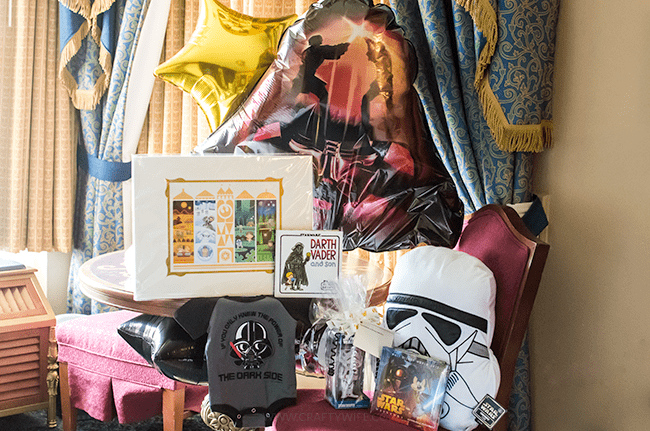 Check out how you can score more free things at Disney below! Vacation Planning DVD: as a kid, I used to love getting our dvd (or vhs back then!) in the mail, and I remember watching it over and over as I eagerly awaited our upcoming vacation. I’ve heard the dvd’s aren’t as good anymore, but you can also request customized park maps and those are awesome! Plus, they make really fun keepsakes! Park Maps: each park has a map that you can pick up at the entrance to guide you to whichever attractions you’d like to go to. These are fun to keep because (if you go often like we do) you can see how much the parks change over the years. Passports: during the Food and Wine Festival and the Flower and Garden Festival at Epcot, you can pick up passports at the different kiosks and get a stamp on them for visiting! Chris and I love these because they’re a great way to keep track of all the food and drinks you’ve had! Chocolate: At Downtown Disney you can head to Ghirardelli and pick up free samples. Chocolate lovers rejoice! Confectionary Shop: When walking down Main Street USA at the Magic Kingdom, be sure to stop in the Confectionary Shop to see if they’re offering free samples! If it’s not busy there will most likely be a Cast Member standing there with delicious treats for you to enjoy! They usually offer ice cream, cotton candy, or cookies. Dining: If you have children under the age of three they eat for free (off the parents plate of course)! You can take advantage of this at any WDW Buffet and family style restaurants. Fireworks: I have a post on the best places to watch the fireworks from (inside and outside the parks! ), but if I’m being honest my personal favorite (free) place is from the Transportation Center outside the Magic Kingdom! If you want to catch the special event fireworks (4th of July, Halloween, Christmas, etc) then this is a great place to beat the crowds and still get a great view of the show! 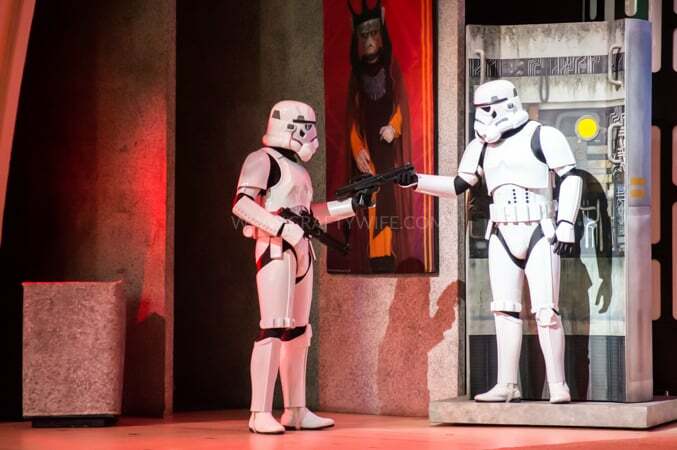 Concerts: At Epcot, you can head over to the American Gardens Theater (located in the World Showcase) and catch performances from cover bands and sometimes non-contemporary groups. Chris and I have never stopped for a show but do notice that the lines to get good seats start pretty early! We’ve never thought it was worth it to waste half of our day in line, but if it’s a band you really want to see you may feel differently! Trading Pins: Chris and I don’t participate in the pin trading at the parks, but it is huge among young kids and even some adults! All Cast Members wearing lanyards can swap up to two pins with guests. Animal Viewing: If you love checking out all the animals at Animal Kingdom you can head over to the Animal Kingdom Resort and check out all the animals that live there! There aren’t as many different species as there are in the parks, but they’re still fun to see. And if you’re staying at the resort they have a special nighttime viewing area to watch the animals at too! Campfires: Fort Wilderness has a campfire sing-a-long with Chip n Dale every night, a fun way to interact with the characters! Animal Kingdom also has a storyteller that sits by the campfire at night and Port Orleans Riverside offers Campside on the Bayou with storytellers and entertainment! Package Delivery: If you are staying on-property and buy something at the parks, Disney offers a free service where they will deliver the package to your resort for you free of charge. To pick up your package just head to the store inside your resort, give them your last name and room number, and they will have your package for you! The only time you cannot use this service is on your last day at the parks, but every other day this is a great option instead of carrying your purchases around all day. Are there any more free things at Disney I’ve left off my list that you love to do? Tell me about it!